Only in the Okavango Delta can you sit in a mokoro (traditional canoe) as you're poled through shallow water more than a hundred metres from dry land in any direction. The water in the Okavango Delta is actually a flood, arriving from Angola after seasonal rains which causes changes in the water levels throughout the year. During the peak of the flood in the inner delta (May - September) water stretches as far as the eye can see like a giant mirror, reflecting the incredible sunsets. This extraordinary landscape provides the perfect backdrop for taking in the scores of birdlife, herds of elephants and water-adapted antelopes with a glass of something cold in hand. Stranded within this vast expanse of water are a series of islands which shrink and expand depending on whether the water from the flood is rising or dropping. Some islands are tiny enough to host only a single palm tree whereas Chief's Island is the largest, approaching 1000 km² in size. Your time in what we call the true Okavango Delta is best enjoyed exploring the floodplains by mokoro, the islands on foot and boating through the hippo-dotted channels. You'll also find a bigger game viewing experience in its drier areas by visiting the Moremi Game Reserve, Khwai Community Area and the surrounding private concessions which we have covered separately. 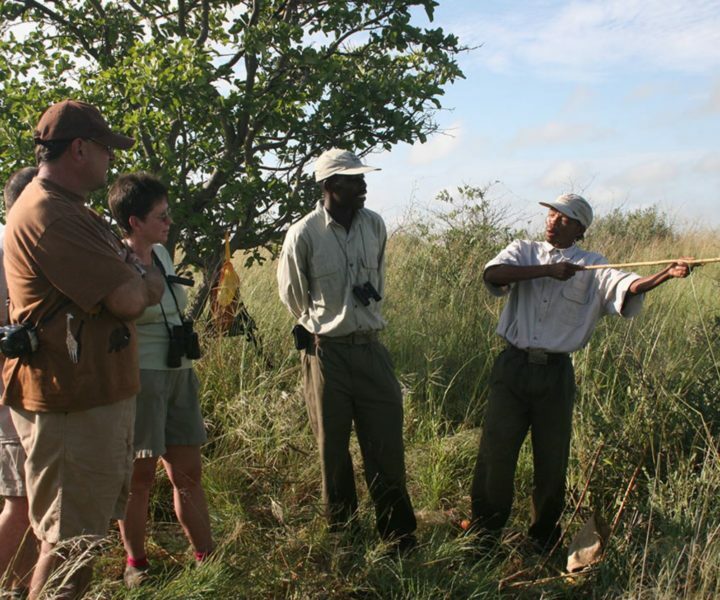 Talk to us for how to get the most out of the Okavango Delta depending on what kind of safari experience you prefer and what time of year you're thinking of travelling. Combine with: A camp in a drier part of the delta for the full contrast, Chobe for a first-timer to Botswana, the Linyanti for the seasoned safari goer or the Makgadikgadi Salt Pans when staying longer. Price-wise, Pom Pom is one of the most accessible camps offering a full range of land and water activities in the increasingly upmarket Okavango Delta. Being situated in the western delta, water levels and game viewing vary throughout the year. The camp enjoys regular leopard sightings and the area is exceptionally pretty year-round. Go glamping family-style in your own private camp in the middle of the Delta. This specialised private safari keeps children and parents entertained from target practice and archery to tracking lion spoor and campfire cooking lessons. Back to nature: no electricity, no phones, no wifi - who could ask for more! 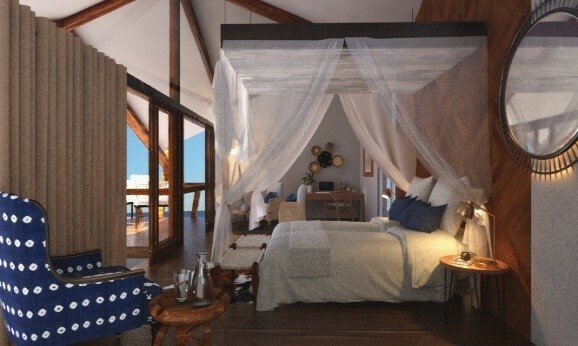 Wildlife filmmakers Derek and Beverly Joubert offer a divine mix of simplicity and decadence at Duba Plains. The area is famed for the lion and buffalo interactions featured in 'Relentless Enemies' but offers so much more. Each game drive is an adventure crossing deep water in swamp-cruising vehicles behind lions that don't mind getting wet or hunting during the day. Not your average camp or wildlife experience by a long shot! See the Okavango Delta through different eyes as you ride or walk with elephants through the bush. Abu Camp breaks down the barriers between people and elephants with first-hand insight into the social politics of breeding herds. For a truly unforgettable experience, spend a night sleeping out with the elephants in your own 'star bed'. Looking for over the top romance? Imagine a bathtub under the stars on your own private deck and 'roll out' beds for a sleep-out in style. Superb food, beautiful delta landscapes and welcoming staff create an idyllic experience. For a magical (and respectful) close encounter, book a bush walk and brunch with the resident orphaned elephants. Xaranna combines the colours and essence of the Okavango Delta with the comforts of a boutique hotel. The beauty of the area sets the tone. Quirky and creative with oodles of romantic touches, your experience will exceed your expectations. This side of the delta is seasonally affected by changing water levels, creating an island feel to the camp in peak flood with the focus of activities varying through the year.